Plantation Blue Jamaica Blue Mountain Coffee is always delivered with care to assure that the time between roasting and brewing is shorter. Fresh Jamaica Blue Mountain Coffee beans produce better cups of Jamaica Blue Mountain Coffee! 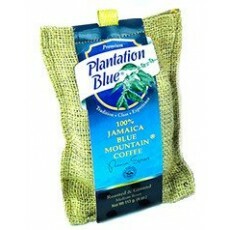 Try this exceptional quality Jamaica Blue Mountain Coffee today with our assurance of quality.